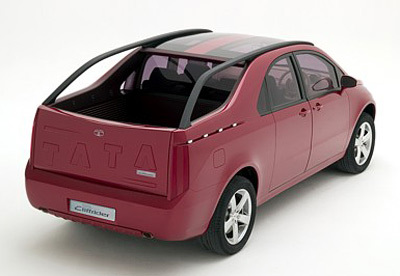 The Tata Cliffrider concept was a oddly proportioned pickup truck which was displayed at the 2006 Geneva Motor Show. 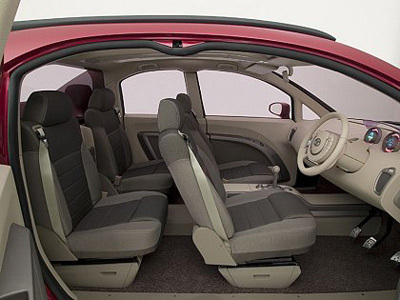 The Cliffrider was an evolution of the Tata Crossover concept which had been unveiled a year earlier. 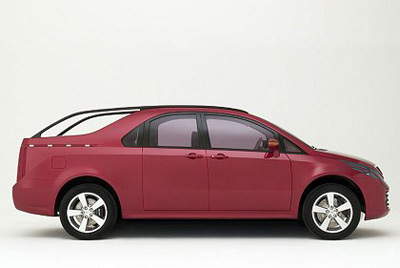 Tata described the Cliffrider's shape as a high-slung sedan, which is a little incorrect as it's more of a MPV/light truck. The Tata Cliffrider featured a small cargo bed at the rear, and a four-door, four-seat passenger compartment. The interior had plenty of light thanks to large windows and two transparent roof panels. For additional storage and hauling, the Tata Cliffrider featured a roof rack which ran the length of the vehicle - including the rear cargo area. 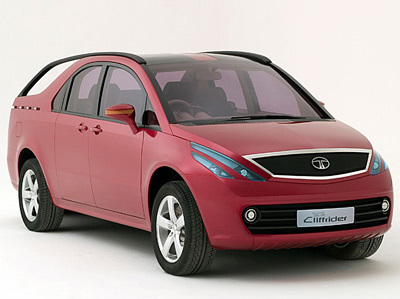 Powering the Tata Cliffrider concept was a V6 engine which sent its power to all four wheels.